It’s not every day you see Richard Chamberlain sitting at a table at Mother’s Bistro studying a script! Chamberlain is in town this week, joining the cast of TNT’s Leverage as a dashing thief named Archie Leech. Knowing Chamberlain’s talents, this won’t be the last we see of Archie Leech on Leverage. The NBC Movie In Her Shoes Needs You! 2. Email the link to your profile to intern@slateplease.com. No direct submissions or phone calls will be accepted. Your Casting Frontier profile MUST include a photo, clothing sizes, shoe size, contact information and acting/basketball experience. NOTE: You can register on Casting Frontier as an actor only if you want to be considered for speaking roles in the future. If you want to be considered for both speaking AND non-speaking roles on future projects, register as an extra. Most middle aged actresses will tell you that a large percentage of casting calls for the juicy roles read “Female 18-24.” Hot Flash Films PDX and Velocity Sisterhood present three separate event screenings of Not Dead Yet, a dramedy about life, hot flashes and profound re-awakenings, at the Hollywood Theater April 23rd-25th. All ticket sales will benefit five Portland-area women’s non-profits: Life By Design NW, Oregon Women Lawyers Foundation, NARAL Pro-Choice and OAASIS – Oregon Association of Abuse Survivors in Service. Each showing of the film will be followed by a themed discussion, highlights of which will be posted to the Hot Flash Films PDX website and potentially used in a documentary. Event times are Friday at 6pm, Saturday at 7pm and Sunday at 2pm. Tickets are available at http://blog.notdeadyetthefilm.com. The cast and crew of the upcoming feature film Meet Jane Doe will host a Teaser Trailer Release Party and Fundraising Kick-Off event at Grand Central Bowl in SE Portland on May 2. According to Jacqueline Gault, the film’s writer and director, the goal is to raise enough money to qualify for the Oregon Indigenous Production Fund, which would allow the production to receive rebates on every dollar spent. “We are hoping that people will contribute whatever they can, even if it is only a few dollars. We will reward people with a raffle that will include gift certificates from Widmer Brothers Brewing (one of the film’s product sponsors), Grand Central Bowl and more.” Investor packets for those wishing to invest at the Executive Producer level will be available at the event. For more information contact Ms. Gault at jacqgaul@gmail.com. Recently cast: Montevilla sewing, Leverage episode 306, Meet Jane Doe principal roles. Ongoing casting: Oregon Lottery, Legacy, Leverage 307, NBC Movie of the Week In Her Shoes. 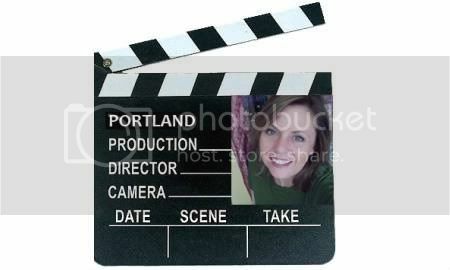 The Public Internet Channel (PIC.TV) is shooting a nine-episode Public Purpose Media web-series in Portland in June and is looking to fill a number of paid crew positions including Key Grip, Art Director, 1st AD, Gaffer, Props Master, Makeup and more. The web series will examine the consequences of teenage pregnancy from a teen father’s point of view. See the Oregon Film website for a complete list of available positions and submission requirements. I was standing in my agent’s office when the breakdown for NBC’s Movie of the Week In Her Shoes—not to be confused with the Cameron Diaz movie of the same name—came in. The excitement of yet another major movie project coming to Portland certainly created a buzz. I have not read the entire script, but I will say it involves a few very topical events, including families struggling to cope when a family member is away on military duty. First-round auditions are over for most roles and callbacks are in progress. So far no major roles have been cast out of Portland or L.A.; fingers crossed for all of the Portland actors! Extras Only hasn’t announced if they will be doing the extras casting for this project, but my guess is they will. So go sign up to be an extra if you want to be part of this movie. In Her Shoes will be directed by John Kent Harrison and films in Portland during May. So you missed the Thug Boot Camp that Lana Veenker put on and you want to know if you can still be involved with Leverage. The answer is YES! The staff at Extras Only Casting needs you. They are looking for all types of people, not just “thugs.” They need all minorities, and upscale business types as well. Go to www.extrasonly.com, fill in your information, and put the word “LEVERAGE” in the Project Code box at the bottom of the page. Extras Only is the premiere extras agency in town, and there are no fees. They get paid when you get paid. They cast almost every major project that comes into town, so if you don’t get on Leverage they may be able to use you for something else. Back in October of 2009, a group of fans got together and decided to meet up in Portland to share their passion for their favorite TV show: Leverage. What started as an idea became a full fledged convention (Con-Con) the weekend of March 20th, attended by hundreds of fans from around the world. The highlight of the convention (held at the Governor Hotel) was a Q&A session featuring the Leverage cast and executive producer Dean Devlin. Schmooze, a networking event for people from all areas of the film community (casting directors, musicians, crew, and of course actors), is happening on Monday, April 12, 7pm to 10pm at Urban Grind, 2214 NE Oregon St, Portland St. Bring your self, your screenplay, your project and network with the local film community. The event is free, and the organizers hope to make it a regular event. Spots recently shot: Humana, Leverage promo. Recent and current castings: XBox, Capital One, Oregon Lottery, AT&T, T-Mobile, Kroger (Fred Meyer), NBC Movie of the Week In Her Shoes, Leverage, Meet Jane Doe. Scene in Portland, So You Want to be a Thug? So You Want to be a Thug? Ever been told you look like a criminal? Well now’s your chance to take that to the bank. Casting Director Lana Veenker wants to train you up to become a Leverage thug. TNT’s Leverage employed over 120 local actors and more than 800 local background artists last season, and many of those people are not eligible to be featured again in Season 3. Veenker wants to make sure we have enough thugs to go around for the new episodes, which begin filming in Portland in March. If you are big and burly (you don’t have to be tall), and want to try your hand as a thug or a stunt person, check out Veenker’s Leverage Thug Boot Camp, taking place the weekend of February 6th and 7th. For more details and registration info, see the Leverage Boot Camp website and Veenker’s Casting Scoop blog. Two of Portland’s powerhouse talent agencies, OMM (Option Model Management) and Arthouse, recently announced they are both branching out to become full service agencies. The two agencies used to work as an unofficial team, with OMM booking talent for the print side of the house and Arthouse booking the film and commercial roles. Each agency is now booking talent for both the print and film jobs, which we hope is a win-win for the growing film industry in Portland. In 2009, the Oregon legislature passed SB863, which created the “Indigenous Oregon Production Investment Fund” (i-OPIF). The fund provides rebates of “20% of goods and services and 10% of Oregon labor for films produced by Oregon filmmakers who spend a minimum of $75,000 but not more than $750,000 on their project.” The fund began taking applications the first week of January, and the Freeman Brothers (Todd and Jason) must have been first in line, because their production of the feature film Wake Before I Die is the first to utilize the fund. The script for the film is an adaptation of Dale Freeman’s novel My Soul To Take. Oh, and did I mention Dale Freeman is Todd and Jason’s father? Truly a family affair. Wake Before I Die is currently in production, and is a collaboration of the Freeman brothers, produced by Robert Blanche. What started out as a relatively small fan gathering has turned into a full-fledged Leverage convention. The CON-con is on! Leverage fans from around the world are planning to converge on Portland the weekend of March 19-21, to meet and greet their fellow fans, and get a chance to rub elbows with the Leverage cast. The event kicks off on Friday, March 19th, with a TNT-hosted CON-con Cocktail Party at The Governor Hotel. Prices for events start at $25 (to attend the cocktail party) and go up to $300 for the complete Platinum package. Registration information available on the CON-con website. Commercial spots recently booked: Bissel, RAID, Nike, Mellow Yellow. Casting happening now: Microsoft, Nike, Oil Can Henry’s, an indie film called Thumbdrive, a SAG short called Beat Red with Mike Farrell (M.A.S.H) and Doug Rowe. Jobs are up 35% from this time last year. We love that! TNT’s Leverage is seeking to fill the following crew positions: Location Sound Mixer, “B” Camera Operator, and Personal Assistant/Production Assistant. See the Oregon Film Board website for details. The case against former Murphy Management owner Keri Murphy (as reported here before: Keri Murphy Sued) was settled out of court over the Thanksgiving weekend, less than a week before it was scheduled to go to trial. The question on everyone’s mind now is how much did Murphy have to pay the plaintiff, and will the remaining unpaid talent file a new lawsuit? So far the settlement has not been made public. James Westby has transformed his Portland apartment into a 1947 Manhattan flat for his latest film Hot in the Zipper. The film gives us a glimpse into the lives of three distinctly different women, vying for the affections of a single man: the piano-playing neighbor next door. According to Westby the short film will be shot in a single day in a single location (his apartment). Hot in the Zipper is written and directed by James Westby (The Auteur, Rid of Me), produced by Katie O’Grady, and stars Katie O’Grady (The Auteur, Rid of Me), Jana Lee Hamblin (Rid of Me), Elizabeth Strelow, and Spencer Conway. The film also credits Director of Photography Kevin Fletcher (Award Winner for Selfless), Production Designer David Storm (The Auteur), and Sound Recordist Morgan Hobart. Gus Van Sant has begun shooting some of the scenes for his new film Restless. Sources say he’s currently out at Indent Studios in SE Portland shooting some interior scenes. Commercial spots casting this week: Oregon Lottery, World’s Best Cat Litter, Intel. Print spots: four crews currently shooting for Nike. Here is the latest Scene in Portland column from The Portlander. Keri Murphy, who once ran the former Murphy Talent Group, MTG, Whilhelmina/MTG and ABC talent agencies is being sued for misappropriating money that should have been paid to talent. Murphy allegedly received checks for thousands of dollars from clients, but never passed the money on to the talent who actually earned it. Murphy is also alleged to have been collecting fees from hopeful parents for their children’s photo shoots, comp cards and modeling classes up until a few weeks before the agency closed its doors and filed for bankruptcy back in December 2008. One 9-year-old girl’s parents decided enough was enough and is suing Murphy for over $8,600 they claim the girl earned in the summer of 2008, plus $10,000 in punitive damages. Murphy was deposed on Monday. The trial is set for December 5. Judge Elizabeth Perris, U.S Bankruptcy Court of Oregon will preside. Murphy is currently living in Los Angeles and hosting the CHASEit segments on IBC’s (Intertainment Broadcasting Corporation) “That Morning Show,” airing daily on the E! channel from 6-9 a.m.
We have not heard the end of this story. Stay tuned for more details as they become available. When Erika Schmid graduated from Concordia College this May with a degree in Environmental Biology she had no idea it would help her modeling career. But someone she didn’t even know saw her personal modeling website and encouraged her to apply for Project Green Search, which was hosting a competition for the next big “green friendly” model. Applicants were required to submit an essay on what green living meant to them and why they would want to be a green model. Two weeks ago Schmid received notice that she had been chosen as a Top 10 finalist, and would be flown to L.A. for the final days of the competition on November 5 and 6. Schmid spoke to me from her hotel in West Hollywood, where she had just finished an intense day of interviews and fashion shoots. When I asked what the next 24 hours would be like she said, “Well, tonight we’re going out to do some guerrilla gardening around Hollywood.” For those of you who don’t know what that means, it’s when you go out at night and secretly plant things when nobody’s looking. Shhh. The winner of Project Green Search will be announced at the ECCO Lounge in Hollywood at 7 p.m. tonight. Erika is currently signed with OMM in Portland. Good luck Erika! Oregon Bride Magazine will feature three local models in its Spring 2010 and Summer 2010 issues. Jon Bebe (Q6), Amanda Wall (Mode) and Jillian Rabe (OMM) booked the photo shoot for Oregon Bride, which was shot in Central Oregon and Portland. The issues feature photography by Kevin Focht, and hair and make-up by Katherine Ross of OMMStyle. Nina McLaughlin and Kit Garrett of OMM accepted an invitation to be on the Program Advisory Committee at the Art Institute of Portland. This committee is made up of industry professionals and educators and provides valuable information for curriculum development. Local PAC members provide AI with input on the most current industry needs and development. PAC members, being industry leaders in the local community, can help promote the program and build better working relationships in the business community. Currently casting for a Fred Meyer spot. Just finished casting for two Oregon Lottery spots. Spots for Cartoon Network and the Oregonian have wrapped. Just posted my weekly Scene in Portland column on The Portlander. And because you subscribe to this blog you don’t have to click through to see it. This is the column in its entirety. The upcoming CW series Life UneXpected will be shooting scenes in Portland over the next few days. The series, which is set in Portland, is actually shot in Vancouver, B.C., so imagine my surprise when I heard through the grapevine that they were actually here in Portland. Series creator Liz Tigleaar posted a Tweet on Thursday morning that said “LUX 104 starts shooting today!! !” I confirmed with Tigleaar that they are indeed here in Portland. Life UneXpected centers around 15-year old Lux (Britt Robertson, Swingtown), who was abandoned at birth and has spent her entire life bouncing through the foster care system in Portland, and has now decided to seek emancipation from the biological parents she doesn’t even know. The pilot sets up the hook of the series by reconnecting Lux with her birth parents Nate “Baze” Bazile (Kristoffer Polaha, Mad Men) and Cate (Shiri Appleby, Roswell), who are no longer together but agree to make amends when a judge decides Lux is not ready for emancipation. Life UneXpected is produced by Mojo Films in association with CBS Television Studios and Warner Bros. Television with executive producers Liz Tigelaar (Brothers and Sisters, What About Brian) and Gary Fleder (October Road). The series premiere does not yet have confirmed date. Let’s hope Life UneXpected loves Portland so much while they’re shooting in town this week that they actually shoot the next season here! As promised, James Westby has released a second trailer showing the lighter side of his upcoming film, Rid of Me. While the first trailer portrayed the movie as a dark comedy, this new trailer will have you either laughing out loud or totally disgusted and reaching for a barf bag (just watch the trailer already). You can see the trailer here: Rid of Me Trailer. Casting this week for The Oregonian and Hasbro/Cartoon Network. Casting just completed for Pro Flowers and Chel White’s ultra low budget SAG feature Bucksville, which begins shooting October 23. When I published the Twilight story last week I thought it might ruffle some feathers, but I had no idea how many. The column was quoted as far away as Brazil! And the Leverage ConCon peeps were equally appreciative, retweeting that column all over Twitter. Kelly Jo Horton lives the life of a software and database geek by day, and the creative life of an actress, writer and improv comedienne at ComedySportz by night. She is the former writer, host and co-producer of TVC-TV’s political talk show “To the Point!” She holds a degree in journalism from San Diego State University. The column is starting to get picked up all over the place! You are currently browsing the archives for the Scene in Portland Column category.